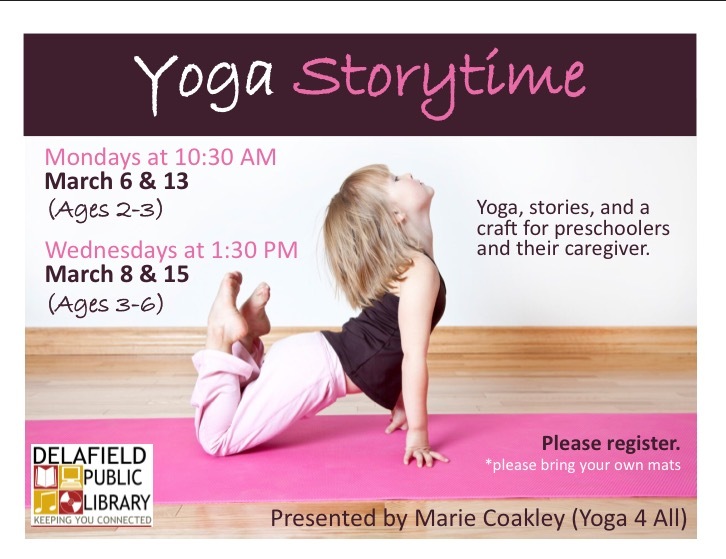 Storytime Yoga starting this week at the Delafield Library! Join Marie Coakley as we explore children’s literature, learn fun yoga poses, explore calming breathing techniques and creative craft activities. Please register online at delafieldlibrary.org and click on “Programs”.